A sweet & simple life on a budget. This post may contain affiliate links. If you click and make a purchase, I may receive a small commission, at no extra cost to you. I only recommend products and services I use and love. Thanks for supporting The Little Frugal House! The first warm day of the year had me feeling like Spring is finally coming!! 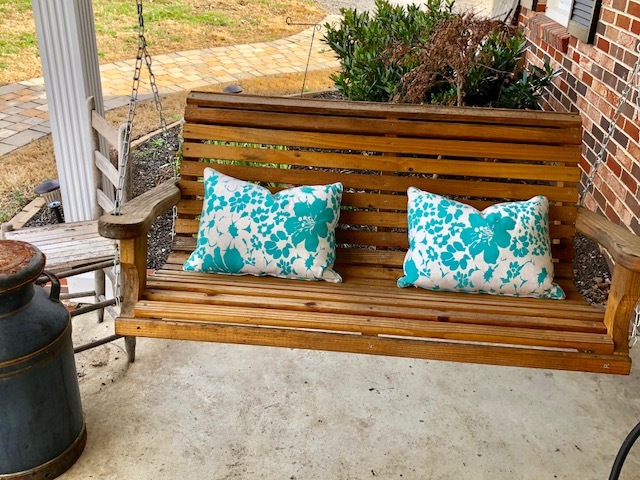 After the cold winter and a rainy week, I was so eager to make my home look and feel like Spring. 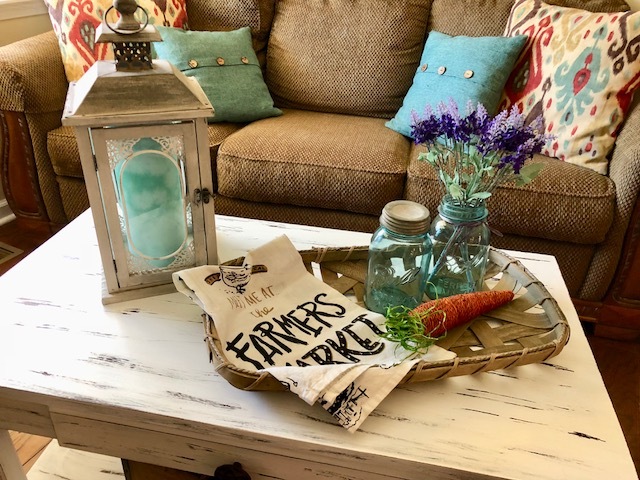 Grab some inspiration from my DIY dollar store Spring decorating day, and make your home feel like Spring, too! 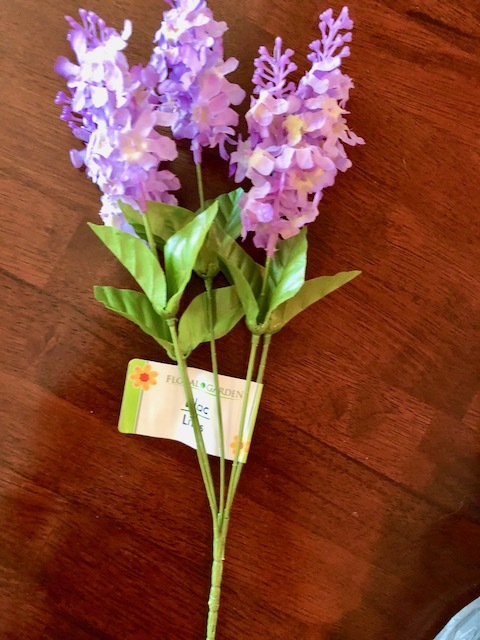 I already had some decor I wanted to use, but I love checking out Dollar Tree to see what I can find. So, this isn’t my coffee table. 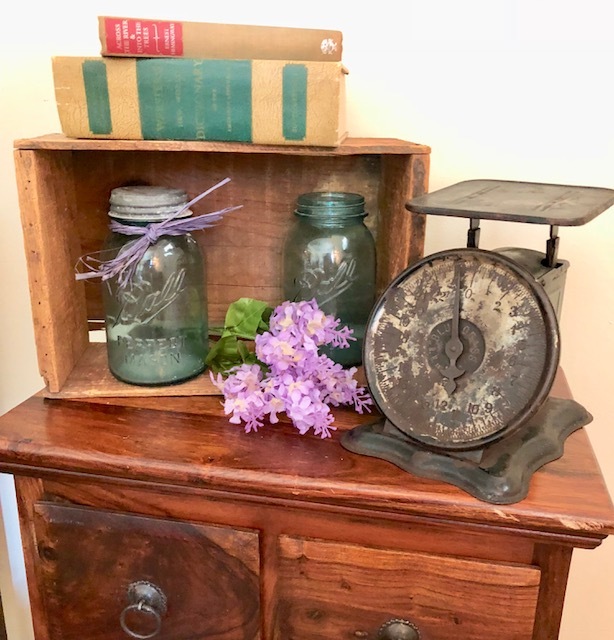 I bought it to repaint and sell, and I loved it so much that I wanted to include it in my spring decorating post! At least I get to love it for a short while until it sells! 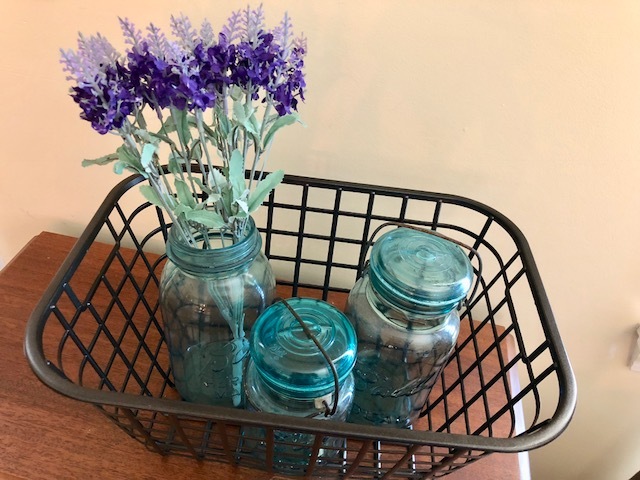 I found this farmhouse style basket at Hobby Lobby, and the silk lavender is from Dollar Tree. The lantern and other decor I already had. 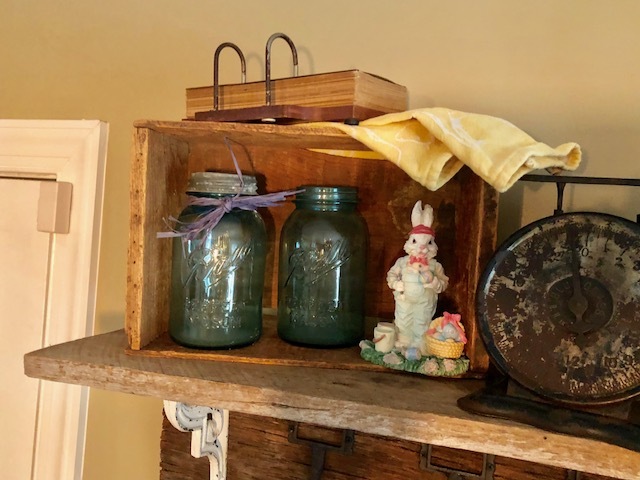 I love decorating with antiques that have been passed down to me, and adding little seasonal touches. I spray painted this plastic basket with bronze spray paint. For just $1, I love the way it looks! 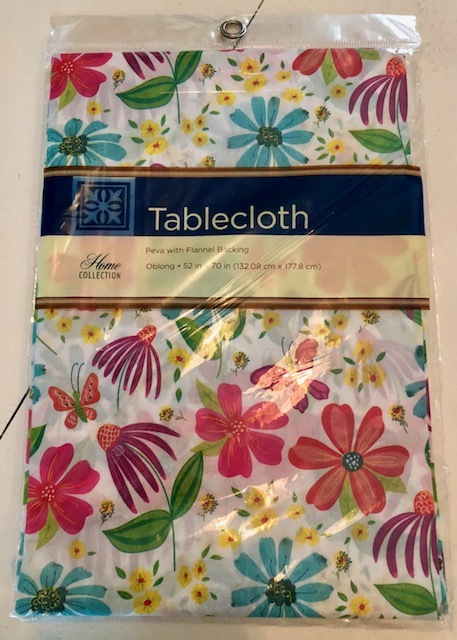 In the kitchen, I added the new Spring tablecloth on the table. 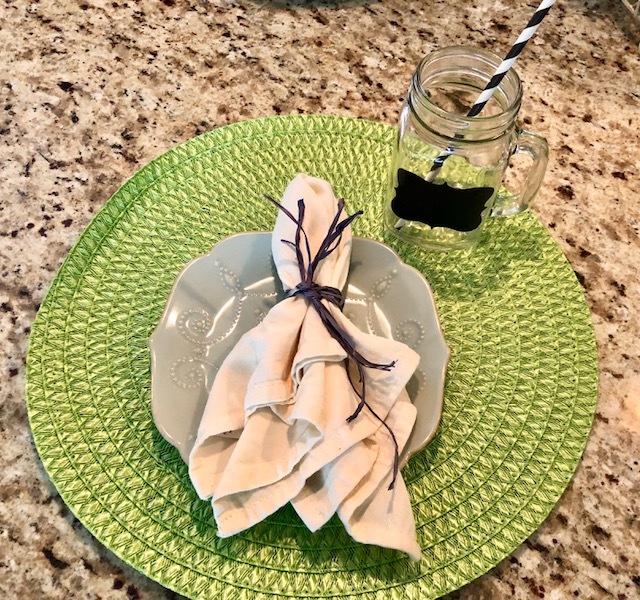 I love setting out some of my nicer dishes (we never eat at this table), and cloth napkins. 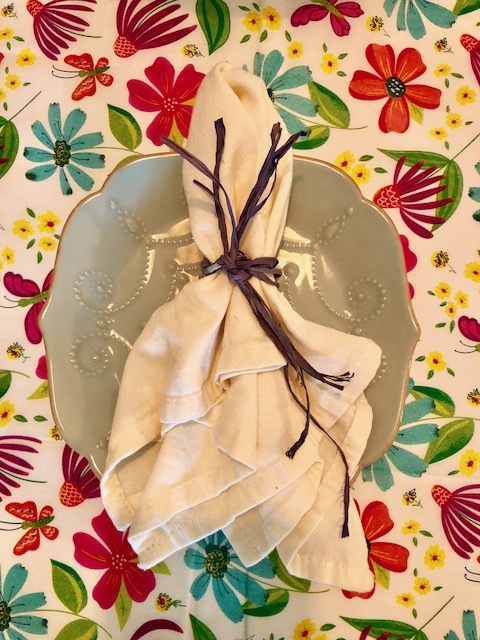 I usually have napkin rings on the cloth napkins, but added some purple rafia for a Spring look. 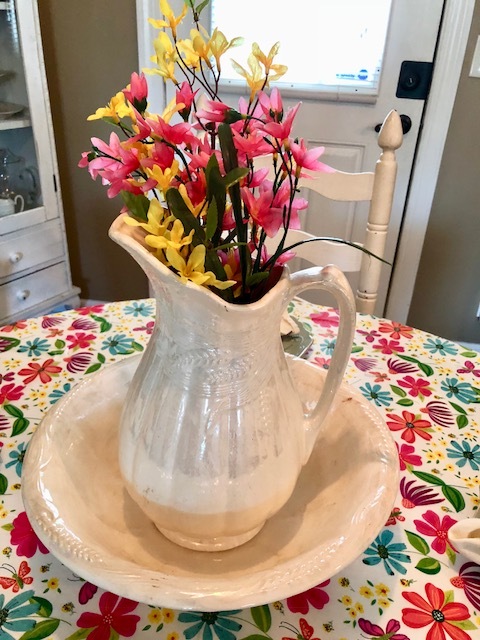 The pitcher and bowl set were passed down to me from my grandmother, and I love using it as a centerpiece. The kitchen island is where we eat all of our meals, so it has to stay pretty practical. 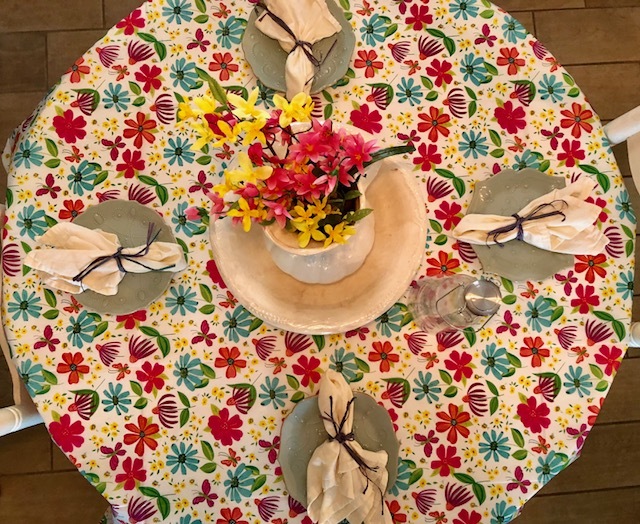 The lime green placemats were perfect for the island. I love these little chalkboard label mugs! 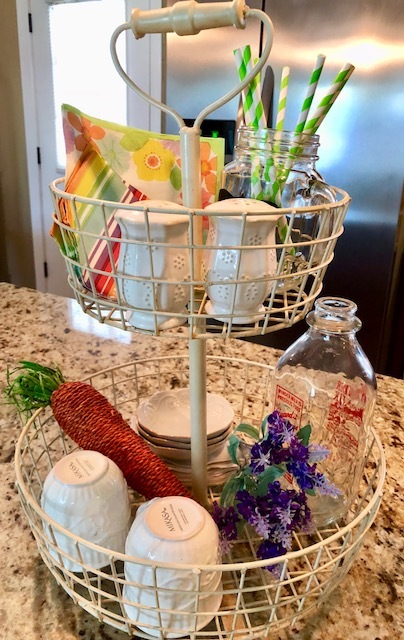 This tiered organizer is always on our island, and I try to change it out seasonally, but also keep it super practical. 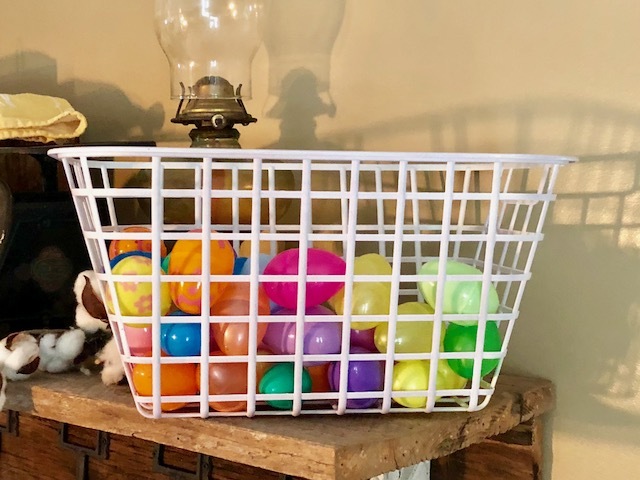 I spray painted another plastic Easter basket white and filled it with plastic Easter eggs for a little pop of color. 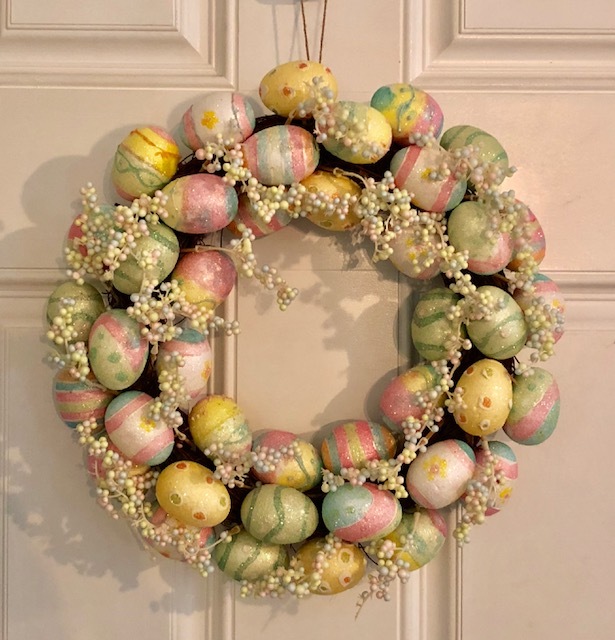 This Easter egg wreath brings some color to a door and these bunnies are fun to place around. 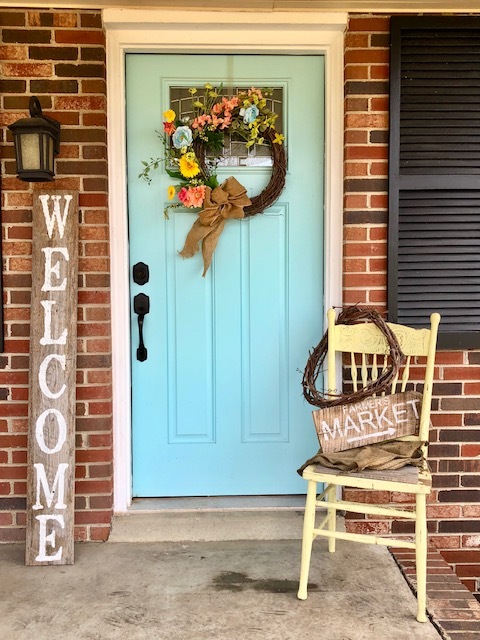 I didn’t do a whole lot outside, but a Spring wreath sure does bring some much needed color to the front porch. I mean, the blue front door isn’t enough color! 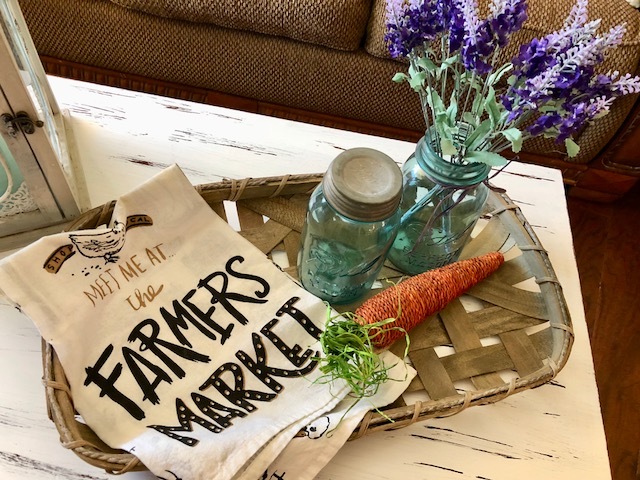 The yellow chair is a repurposed find and the welcome sign is handmade. 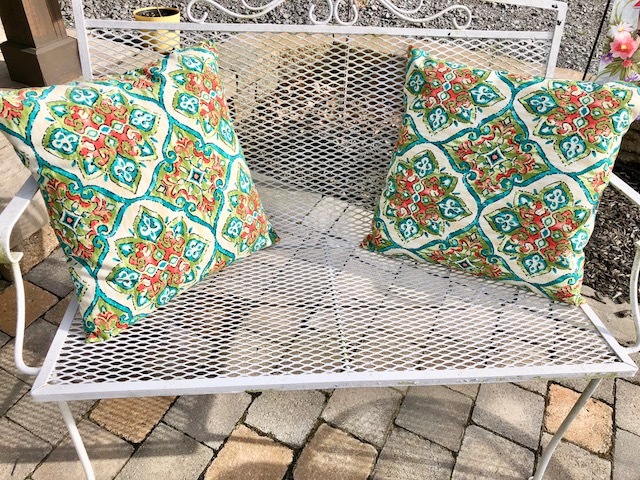 Spring pillows are a must for swings and benches. That’s how I’ve decorated for Spring (so far)! 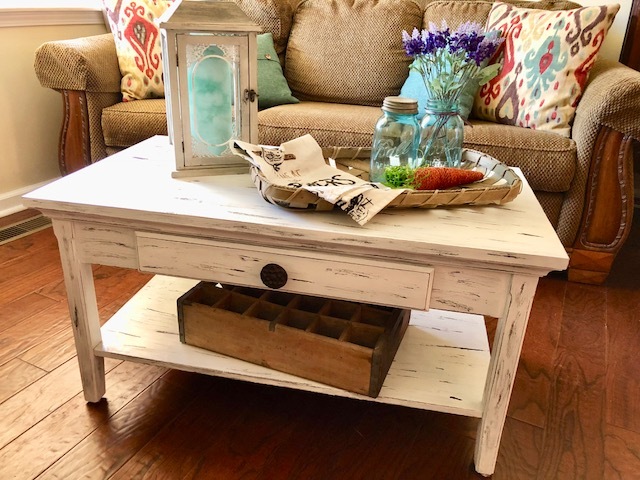 Bringing out light, bright, and colorful pieces is what Spring decorating is all about. Pastels, whites, yellows, and blues are my favorite Spring colors. 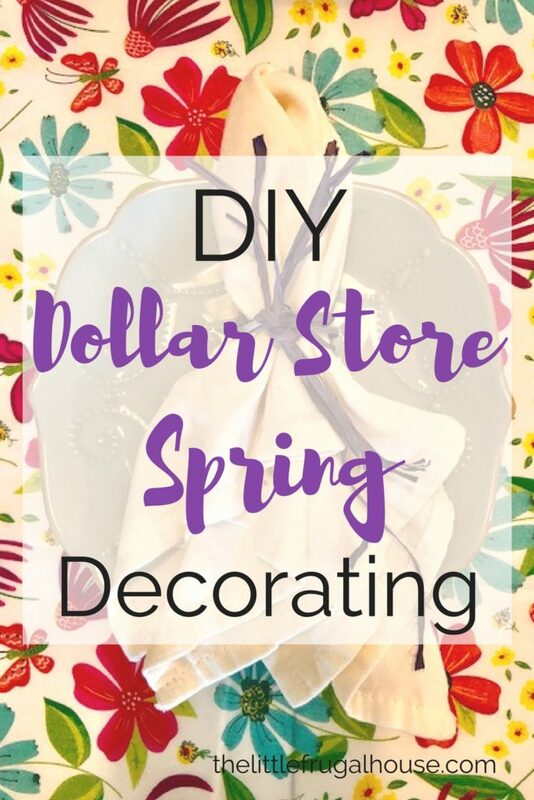 This DIY dollar store Spring decorating day was so much fun and super frugal! 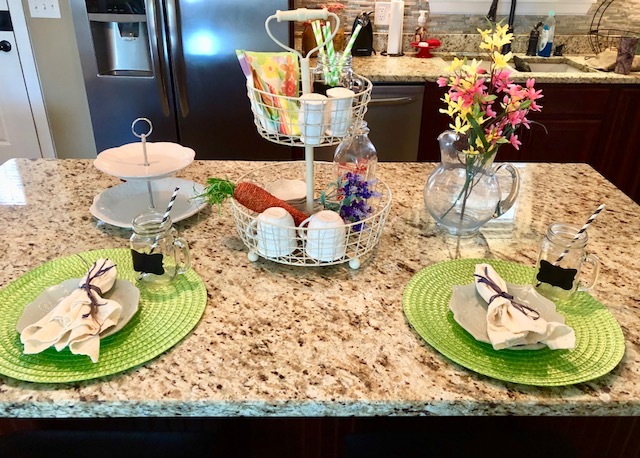 By mostly using what I already had, and just buying a few things from Dollar Tree, I was able to update my home for Spring very frugally! 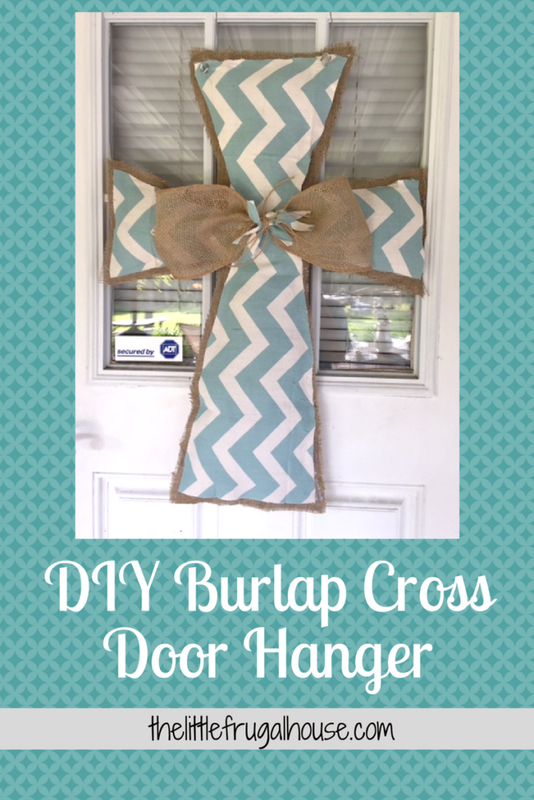 What DIY dollar store spring decorating tips do you have? Share your favorites in the comments! My favorite dollar store decorating tip is using string lights in my backyard. It creates a great atmosphere, especially at night. Welcome to The Little Frugal House! 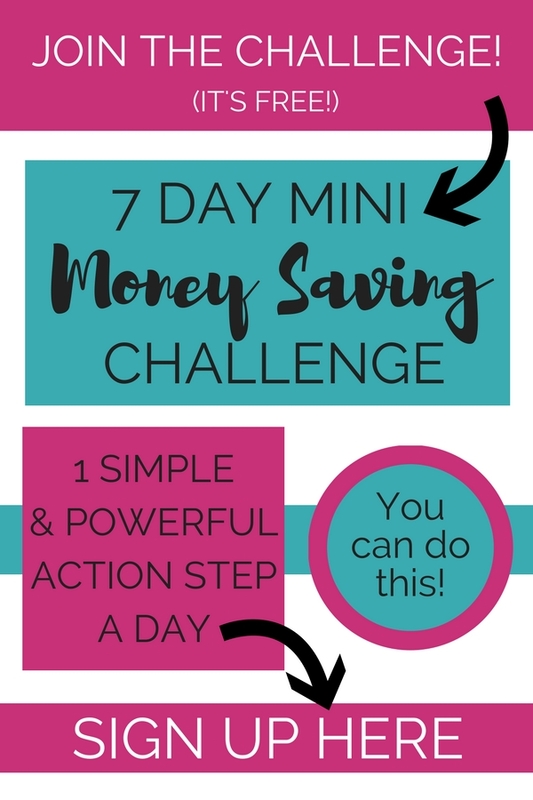 I'm Amanda and I love my simple, frugal lifestyle and sharing tips and ideas with you! Read More! 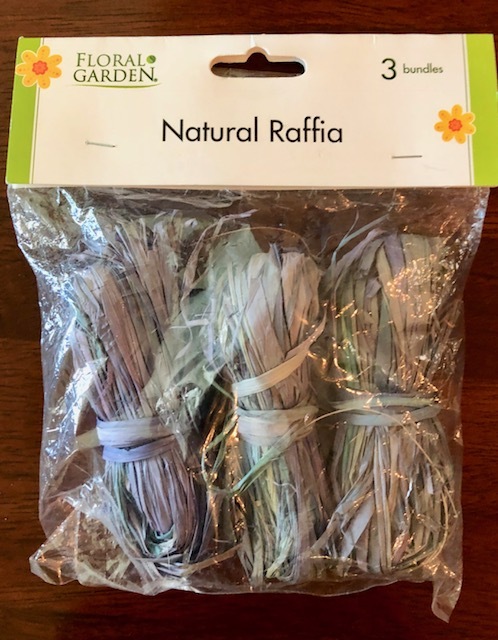 The Little Frugal House is a participant in the Amazon Services LLC Associates Program, an affiliate advertising program designed to provide a means for us to earn fees by linking to Amazon.com and affiliated sites.